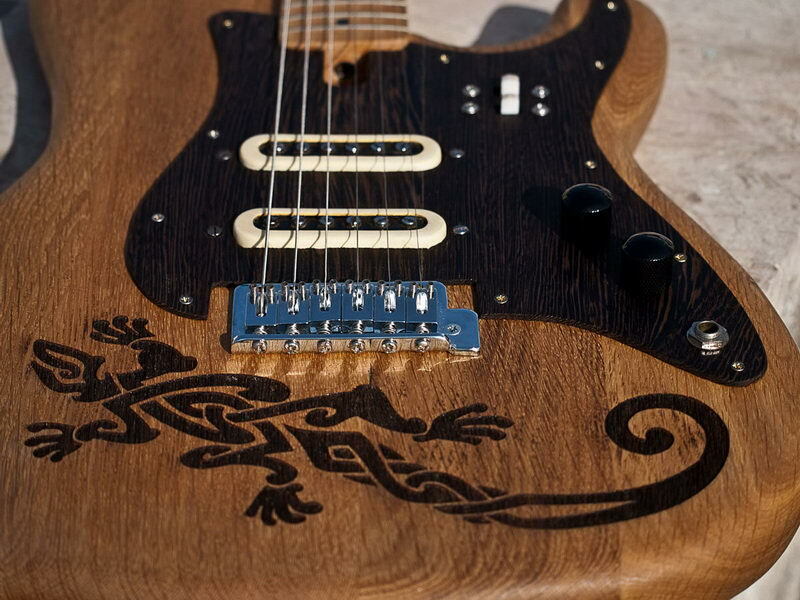 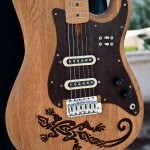 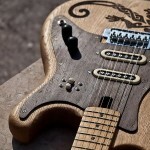 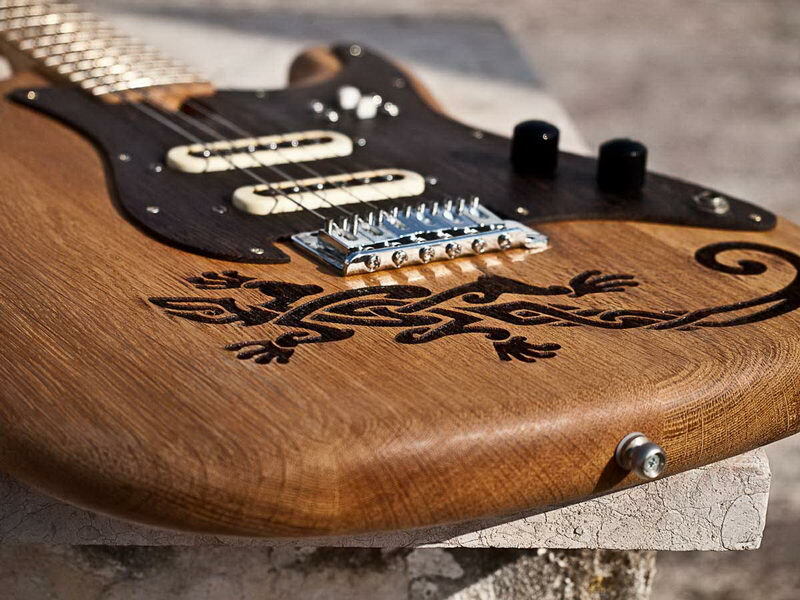 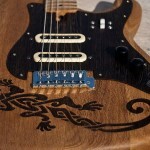 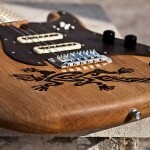 Home INSTRUMENTS GUITARS Lizard I, the very first attemp..
Our first ever creation with the code name Lizard that was inspired by the amazing tribal lizards carved by laser. 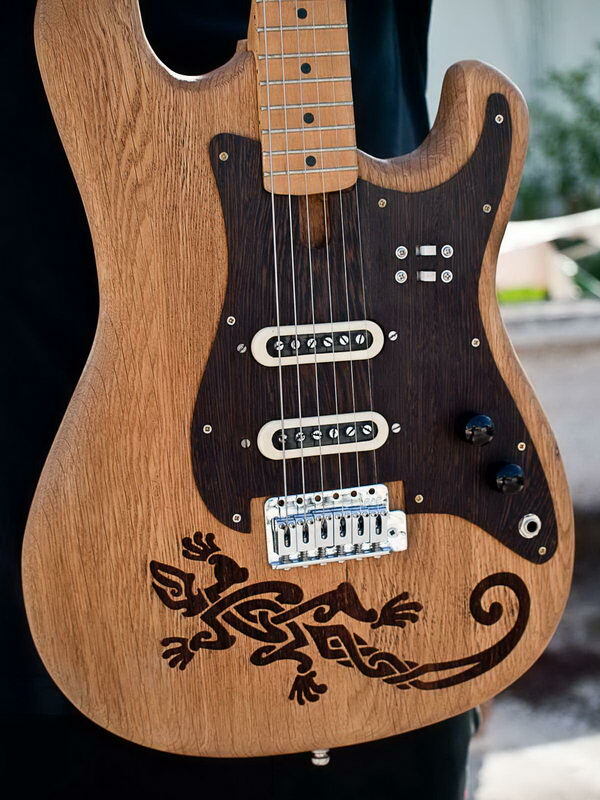 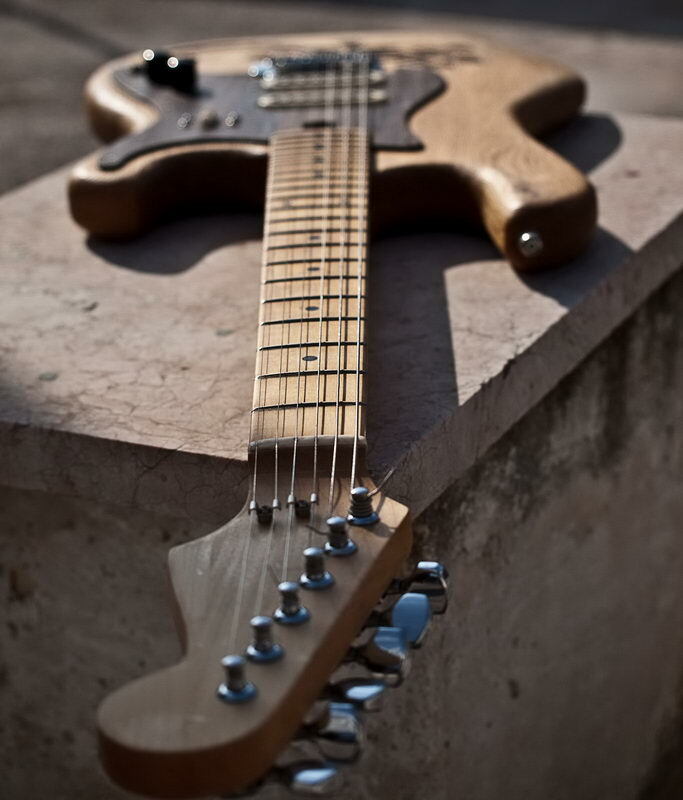 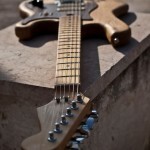 Lizard I – an electric guitar- was the experiment that gave us the strength to continue. 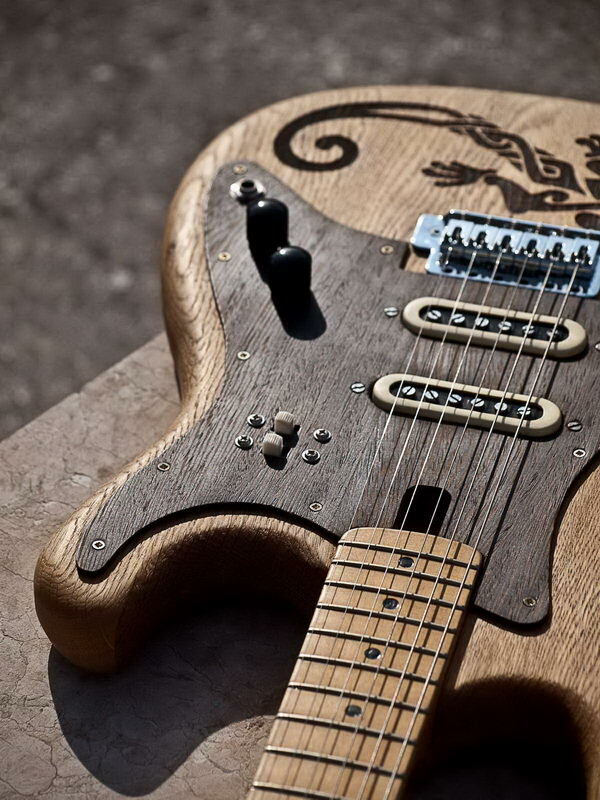 Oak wood, only oiled in order for the wood to breathe and spread its harmonics, and a pair of old pickups from 1965 that were restored with the original circuit, produced a smooth sound with strong middles. 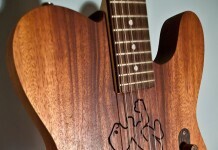 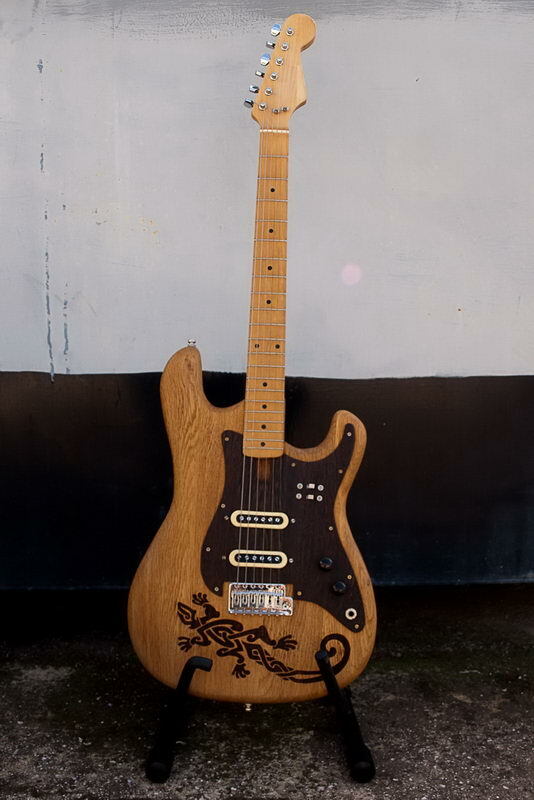 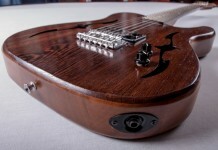 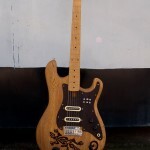 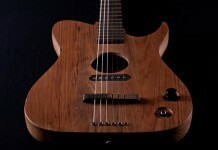 A pickguard made from wenge completed the design.